Cajun seasoning is a classic mix of dried herbs and spices. If you come across a recipe that calls for Cajun seasoning, there is no need to buy it. If you have a semi-well-stocked pantry, it's likely that you already have all of the ingredients on hand already. Just follow this recipe and make your own seasoning. For those who like a very spicy seasoning, add a little more cayenne to this spice mixture. By making your own mixture, especially if you use your own home-dried herbs, you avoid additional preservatives and additives. 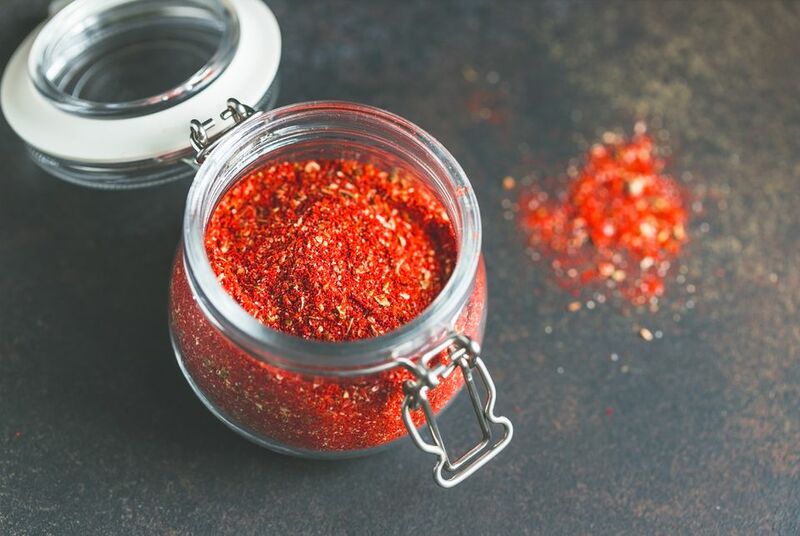 In a zip-close food storage bag, combine all ingredients (paprika, onion powder, oregano, thyme, salt, garlic powder, white pepper, black pepper, and cayenne pepper). Seal the bag and shake well. Store tightly sealed in the bag or transfer to a jar. Label the bag or jar with the date and the contents. It should maintain its quality for as long as two to three years. Shake well before each use. Use in any recipe calling for Cajun seasoning, or sprinkle on fish, poultry, or pork. Make blackened chicken or seafood. Cajun seasoning is the key to these flavors. Rub the spice mixture on any protein and then grill, bake, or saute it. If you have leftover protein, chop it up, mix it with some mayonnaise, herbs, or chopped scallions, and you'll have a perfect salad for sandwiches. Use the seasoning as a dip base. Mix together mayonnaise, sour cream, and some Cajun seasoning for a tangy dip or sauce for veggies, wings, or anything else. Mix the Cajun seasoning into deviled egg mixture. For an added kick, dust the top of the prepared deviled eggs with the Cajun seasoning. This Cajun seasoning is so versatile, you can sprinkle it on anything that needs a flavor kick. It's perfect on fresh slices of juicy tomatoes, ripe cantaloupe, or even a bagel with cream cheese. If you really enjoy making (and eating) Cajun seasoning, or you are known for it among your friends and family, consider making a big batch and giving the seasoning out as a holiday gift. If you do this, you should buy all of your spices in bulk. You'll also want to get empty spice jars. Make a large batch of seasoning and using a funnel, fill up each jar. Make your own label and feel free to customize the name of your Cajun seasoning. You can also create a recipe card or some personalized tips and tricks about your favorite way to use the seasoning. Attach the cute card with some ribbon and your gift is ready to give.